Can you hear the future? You had better prepare yourself, because it is going to sound like a SONIC boom! We are beyond excited to introduce TAPSONIC®. 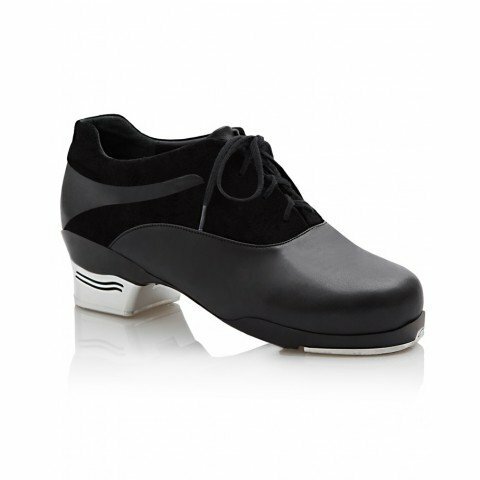 This groundbreaking new tap shoe honors classic tap tradition while also rocketing the genre into the future. 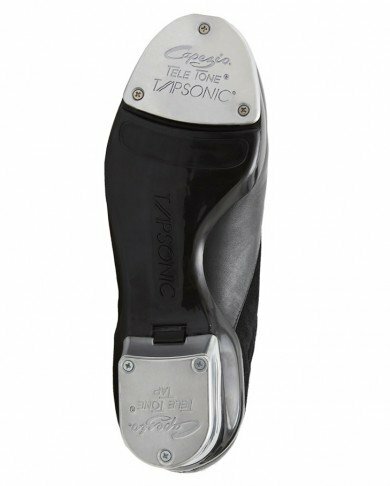 With its interchangeable heel, sporty upper and platform toe tap, TAPSONIC® will take you from Gold to Platinum! Capezio has studied and researched what tappers want and need. They listened and have spent hours thinking about the kinds of innovations that would benefit you as an artist. It is with great pride that we present this truly unique shoe. To our non-traditional dancers, we know you will instantly fall in love with TAPSONIC®. To our traditional dancers, we aren’t trying to replace your passionate and loyal K360 love, we are just asking that you open your heart and let it beat a little more for TAPSONIC®. Tele Tone® toe taps with engineered platform.